1. 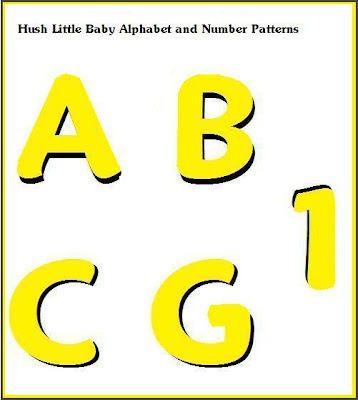 Make several copies of each animal-shaped pattern and the letters from patterns below. Attach them to a firm, smooth surface that can be set aside. 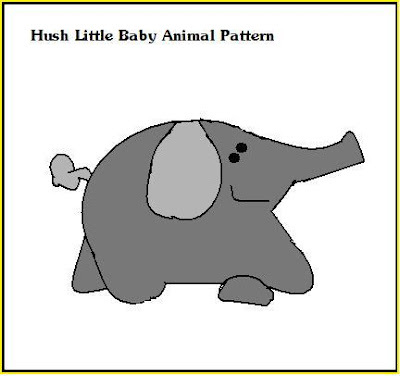 Cover the patterns with waxed paper and tape them into place. 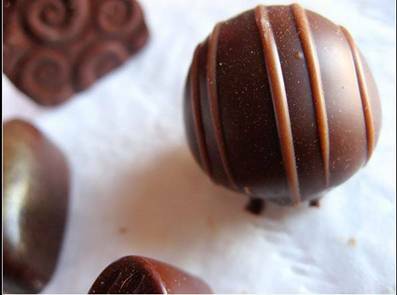 Remove 1/3 of prepared royal icing and set aside. Divide the remainder into 5 portions and tint with light blue, dark blue, green, red and yellow. 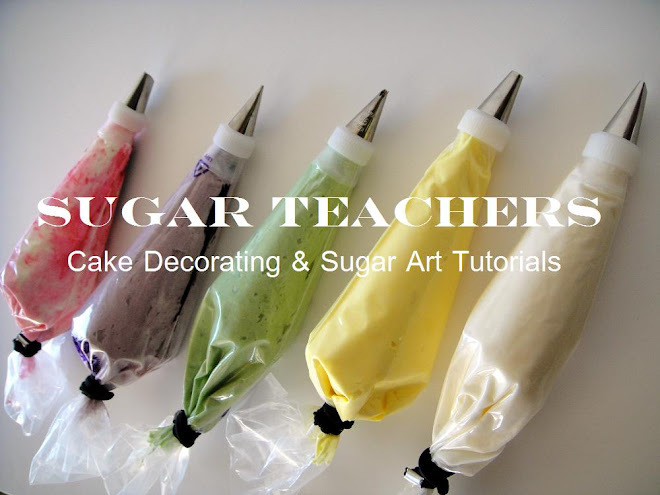 Load a small handful of icing into a small piping bag fit with tip #3, then pipe the outline of each figure, being careful not to leave any gaps in the outline. Use a damp brush to help correct mistake and join line together. 2. Add drops of water, one at a time to the remaining colored icing until a ribbon of icing melts into the icing below it in 10 seconds. *Use tip #2 to flood each outline, building it up until the icing has a puffy, raised appearance. Allow the decorations to dry at least 24 hours. 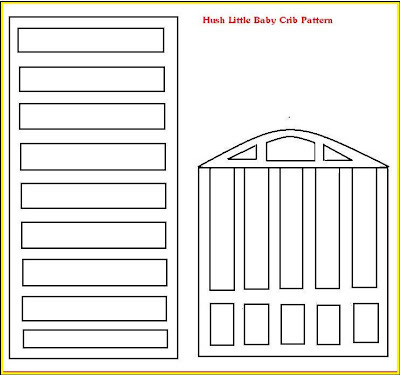 Repeat the process with the crib rail panels using the white icing. 3. 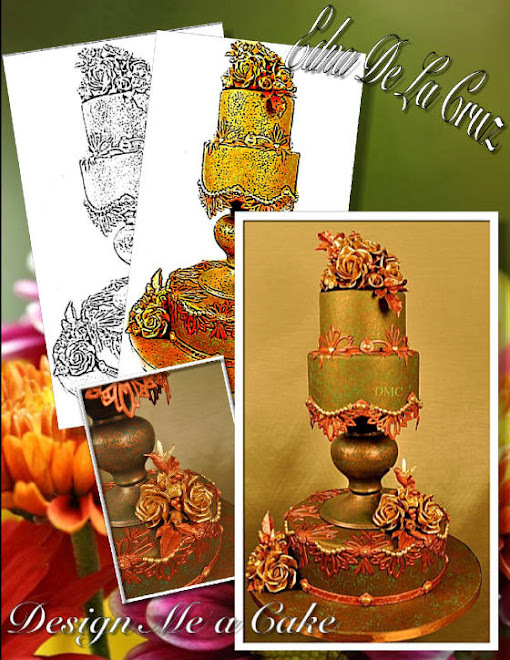 Cut the cake in half, creating two rectangular 5 x 10” layers. Fill and stack on a cake drum, using a dab of buttercream icing to secure. Cover the cake with buttercream icing. Carefully remove the dried floodwork from the waxed paper with a thin, flexible spatula. ( Or you can pull the paper to the edge of a table or countertop; then pull the paper slowly over the edge, catching the piece as it comes from with your other hand.) Attach the bed rails to the cake, positioning them 1” above the surface cake drum. 4. Pipe green and red stripes across the front of the cake using tip #12, ending the bottom of stripe 1” above surface of cake drum. Alternate the colors randomly, piping 1-3 stripes of the same color before switching. 5. Pipe a red bead border around the base of the cake using tip #12. 6. Using tip #86, pipe a green ruffle around the entire cake just above the bead border, splitting the distance between the bead border and the bottom edge fo the rails/stripes. While piping, wiggle the tip in a very tight zigzag motion to achieve the ruffled appearance. 7. Pipe another green ruffle across the top of the stripes at the top edge of the bed’s front side. 8. With tip #86, pipe a second ruffle around the base of the cake in red. Expose just a little of the green ruffle below, keeping the top edge against the base of the bed rails and stripes. 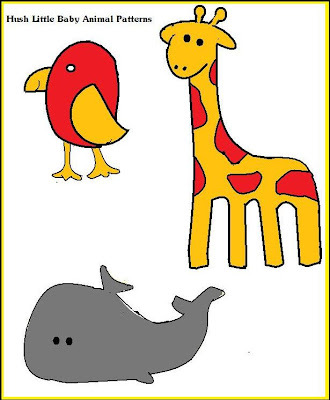 Add facial details to the animals using a black food-colouring marker. Arrange animals and letters on the bed and around the base, using buttercream to prop them up. 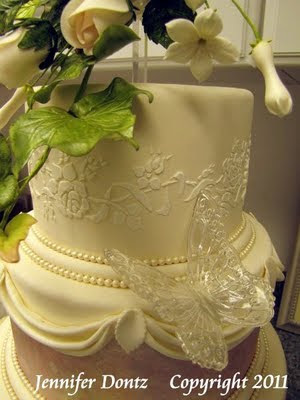 Finish the cake drum by attaching pretty matching ribbon using a glue stick. * Handy Tip from Mame... Begin piping the figure with two colors first. Pipe and flood the smaller portions, allowing the icing to crust. Then finish with the second color. I flooded the backside of the dry, completed figures to provide a more finished, 3-D appearance. You may choose to finish the pieces with only one layer. 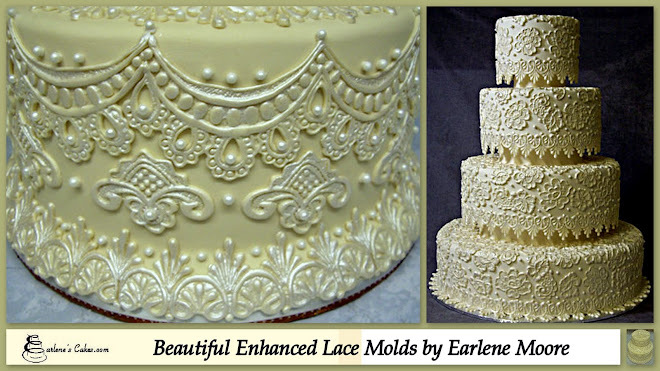 You can find wonderful tutorials just like this one in every issue of American Cake Decorating Magazine. Order your subscription today!! That is really cute! I can't wait until I get to make my next baby shower cake. I received a subscription to ACD for Christmas. I can't wait to get my first issue. VERY NICE! And very creative! 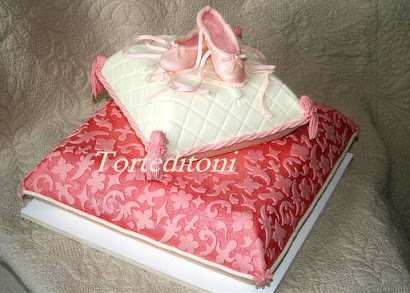 I just love this cake Mame. It is so precious!! Absolutely adorable!! So glad you shared it with us!! 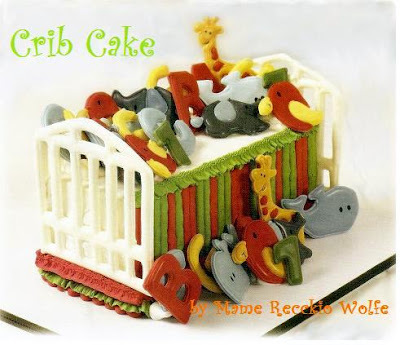 That crib cake is AMAZING!!! I like this blog a lot. Thanks for sharing this wonderful knowledge with us! thank you for your constructive input. I have replaced the previous archive with a new archive with corresponding links. Really nice! 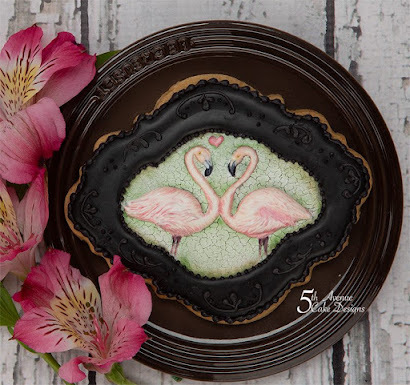 This is very similar to the Frozen Buttercream Transfers. 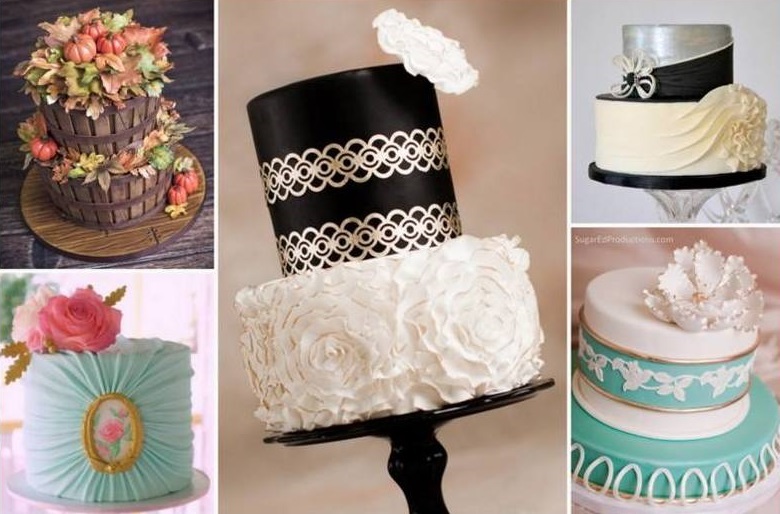 What is your recipe for royal icing? The one I use for cookies doesn't harden this much.